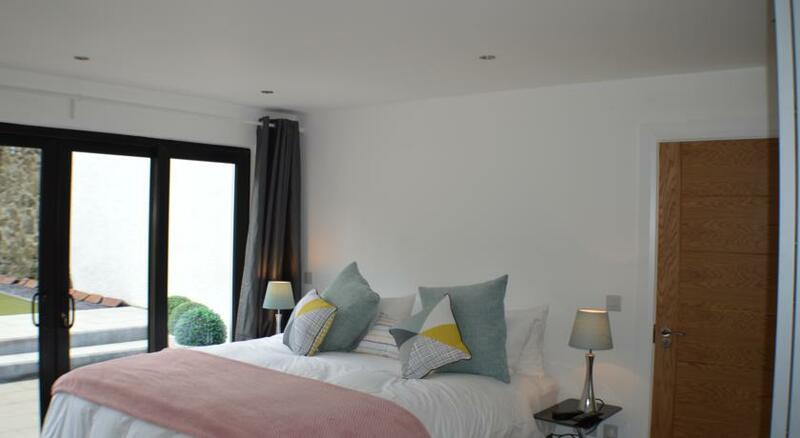 Pier39 B&B Accommodation Portrush has recently been completely rebuilt and furnished to highest standards of comfort and safety. All fixtures and furniture are new and of the highest quality. All bedrooms are en suite with shower, flat screen TV, free WiFi, internet socket, USB charging, iron and ironing board, hair dryer, shampoo and conditioner, tea and coffee, complementary still and sparkling water, sofa, coffee table and desk. The rooms to the rear all have garden views. The front room has views over the harbour, beach, bay and Donegal Hills and free standing bath. Enjoy our delicious breakfast served in your room, in our charming cliff-lined garden or in our stylish breakfast room. Room 4: Harbour and Sea View – Double. Take a 360 degree tour. Guests must check in between 15:00 and 20:00 and check out between 7:00 and 11:00. All guests must be 18 or over, no children are allowed. There is no smoking permitted anywhere within the property. No stag and hen groups. On street parking is available and is free of charge. Parking is available nearby and is free of charge.